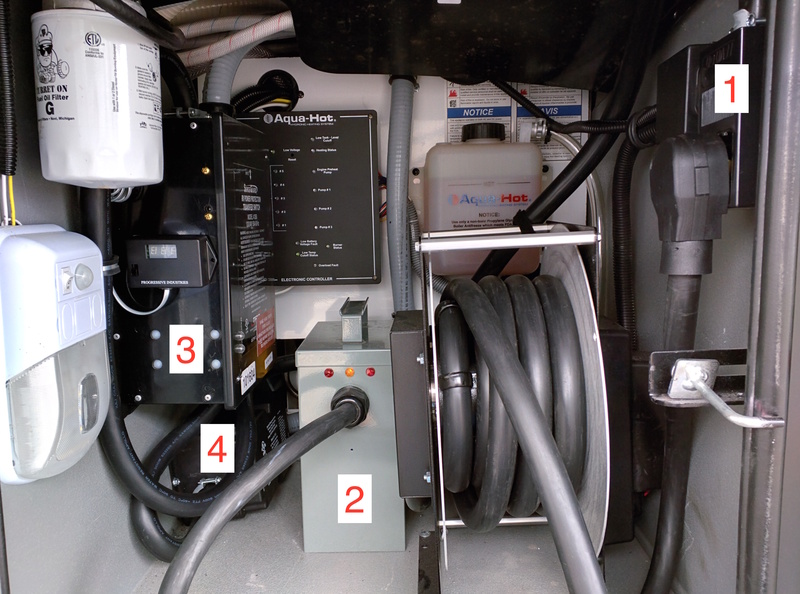 The provided power protection in the Tiffin Allegro Bus line certainly beats nothing (Surge Guard – Auto Transfer Switch – protects against open neutral, reverse polarity and surge) However, if you want the best possible protection for all your sensitive gear, there are some additional things to add to the coach. On top of all this, it has a Lifetime Guarantee, Lifetime upgrades (if the firmware changes) and is made in the USA (in Apex, NC). The Hughes Autoformer. This unit provides a 10% voltage boost if the incoming voltage is between 90 volts and 113 volts. For those unfamiliar with electrical theory, a low voltage causes your devices to draw more current and also produce more heat and can lead to premature failure. If the incoming voltage is above 115 volts the Autoformer goes into bypass mode because the incoming voltage does not require boosting. The unit also provides spike and surge protection. NOTE: Since the Autoformer has plug/receptacles already attached/built-in, and Hughes will void your warranty if you modify the device, the Plug/Outlet mentioned in the parts list are required for installation inside the power bay. These items (and a much of the 6-4 SOOW wire) could be omitted if you desire to simply place the Autoformer at the power pole each time you hook up. This seems inconvenient, and places the Autoformer at risk from the pressurized water and theft. NEMA 14-50 RV Power Outlet (top right) — Attached to the out going wire from the power reel. Progressive Industries EMS (wired into output of #3), the output from here goes to the coach. Placing the EMS after the Transfer switch protects the coach from both shore power and generator power. The ‘remote display’ of the EMS is velcro’d to the side of the Surge Guard ATS (just above the #3 in the photo). Our previous RV had ‘phone line’ connection which I used to distribute the EMS display signal inside the coach. 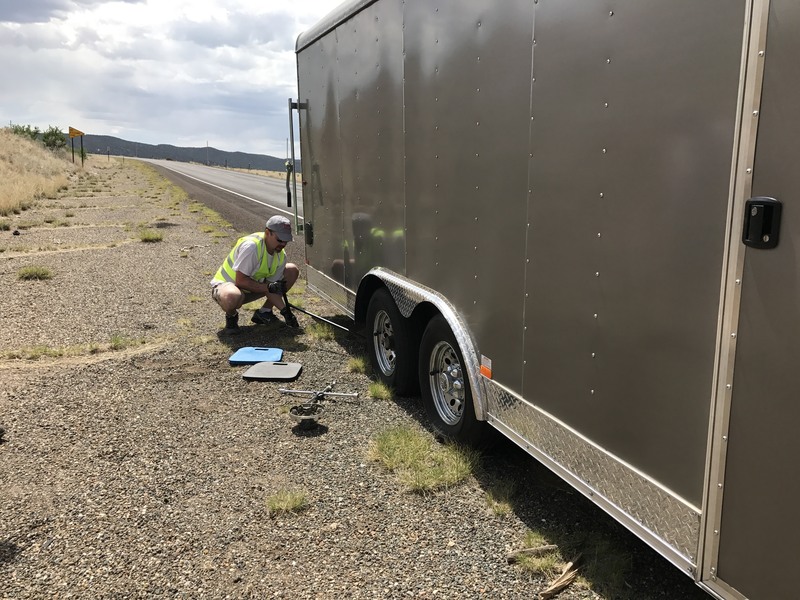 Modern RVs lack the phone system, so routing the wire to where you want the display is required. I went the easy way and left it in the bay.